This post could easily be a series. But I won’t go there as I already have a few series on the go…;). However I just found a couple of new knitters I needed to tell you about as I have found them so inspirational. The colours and style are classic Nordic. Pared back and simple, letting the colour, materials and simplicity of the design do the talking. The first one is a brand new to me blog called Ullstrikk. The knitter’s name is Ingvild and she is based in Norway. 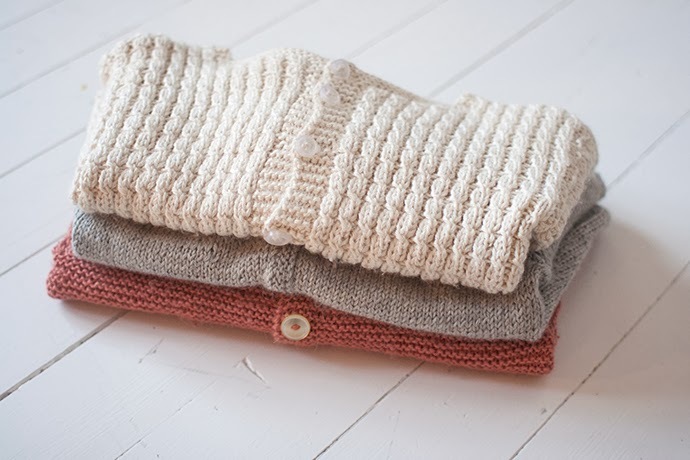 Her knitting for her small girl is simply stunning. I have included her photos in this post and what they reminded me of was a point from The Craft Sessions manifesto – “You can make beautiful things with simple techniques”. Often the things that Ingvild makes are not technically complicated. Their beauty is about colour and simplicity. Image courtesy of Ingvild of Ullstrikk blog. I think as our skills develop as knitters we are often tempted to make things that are more complicated due to simple fact that we have the skills to do so. Doing a complicated piece challenges the part of us that likes to be challenged. It is often more interesting to knit and so we go there. But for me if I look at my clothes – kids board then most of the things that I am attracted to and love, are simple designs in slightly muted colours (Yet again about the visual diary!). What I make is not that. My kids are covered in beautiful (and some crazy) prints that we have found together over time. However when they wear them all at once – which they do – I often feel an urge to avert my eyes due to the chaos – all the while feeling total joy due to their crazy fashion. I’m starting to feel that if I was making slightly simpler colours and styles and using slightly simpler fabrics then we could achieve the same thing (the kids feeling joy about their clothes) without the visual overwhelm. I think the photos of Ingvild's little girl in the picture below illustrate this perfectly. I don't think her outfit could be cuter…. One more thing that is super common in Nordic knits is the extensive use of grey. Now I love grey for myself but rarely use it for the kids. Not sure why. Nordic blogs have inspired me to consciously knit grey for them. The start of example number one that I made earlier this week is below - using a beautiful colour way called Confetti. You can see the finished hat on instagram here. The whole outfit makes me happy. So back to Ingvild. She uses soft colours, lots of grey and simple patterns. And I love it all. I have been back through her blog roll and found the whole thing incredibly inspirational. She has kindly allowed me to use her images in this post – so thankyou Ingvild. Other people you should have a look at if you are feeling inspired by this post are Charlott Pettersen - she has a book that at this time is only in Norwegian but the patterns are super sweet and her instagram account is fantastic. Also Helga Isager. She is a true nordic genius, her books are absolutely beautiful and many of her patterns are translated to English. You can also get many of the patterns as kits using Isager wool here. Any others you know of I should look at? Do you have this issue between what you love and what you make?